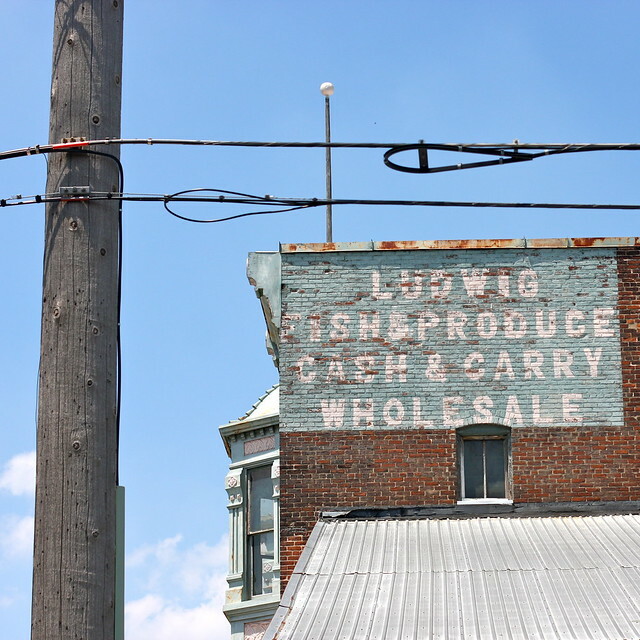 LaPorte, Indiana 2011: Ludwig Fish & Produce Cash & Carry | Flickr - Photo Sharing! The architecture of LaPorte, Indiana, a midwestern town in the midst of our new economy. HamimCHOWDHURY  [Read my profile before you fol, and 26 other people added this photo to their favorites. I like this one in this great series best -- I guess for the detailed patterns and the contrast of those with the sky. A place that has seen better times. Cash & carry. No credit? Perhaps he was onto something. Great composition and a excellent shot !! I find this interesting. A bit of history of daily life! just excellent in every regard, Kevin! Love old signs... nice shot! Not only do I really like the photo, but also your description ! !